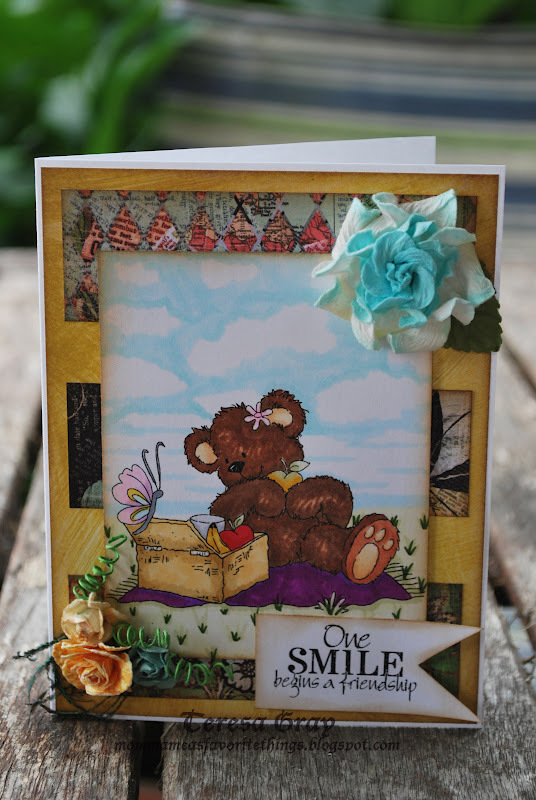 Its day 3 for the Craft Your Passion Challenge blog. For card 3 I used Challenge #121. 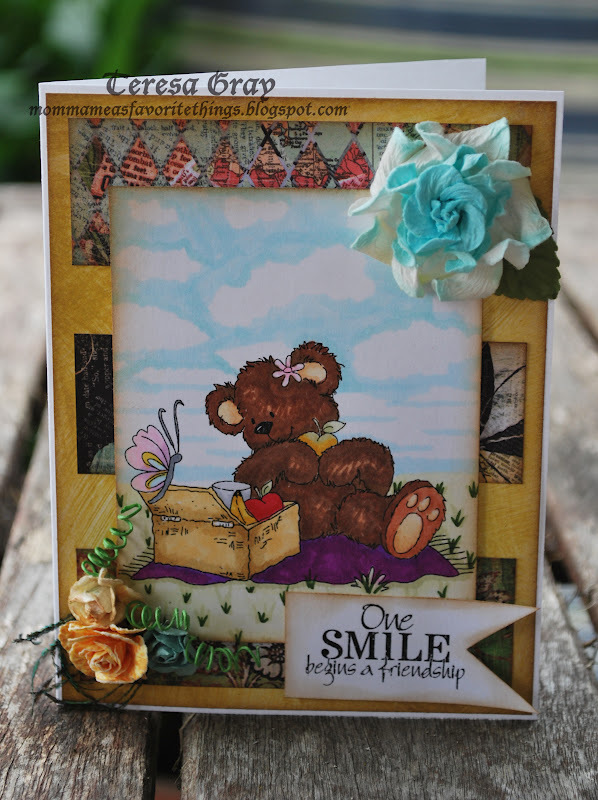 I used Lunchtime Bear from Stitchy Bear who is sponsoring this weeks challenge. 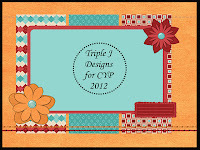 This was a very fun card to do. The sky and all coloring is using my Spectrum markers. The sentiment is from Create with TLC. I so love Paulette’s stuff. It says One smile begins a friendship. The flowers are from Prima. It has wire on each one so I curl them instead of cutting them off. I need to get more I love these on my cards. Thank you for coming by to see card # 3 tomorrows is the last on for CYP this week. It is a guy card so I hope you come back to check it out. 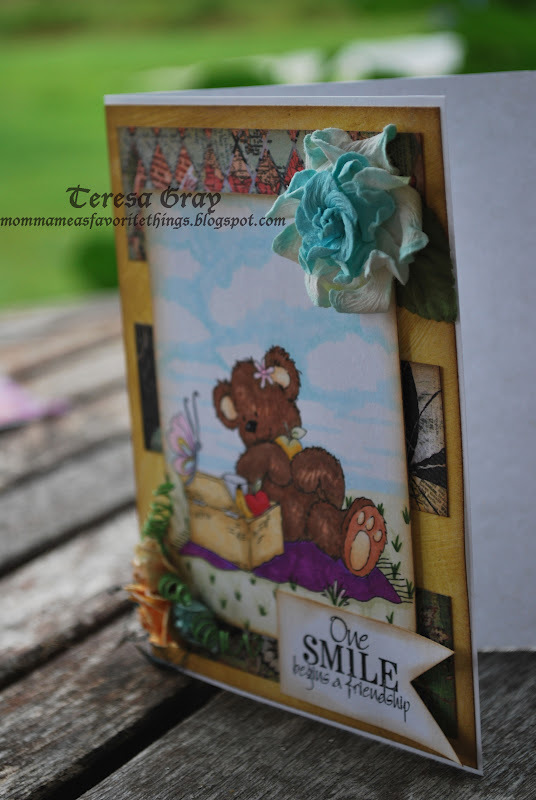 Darling card! 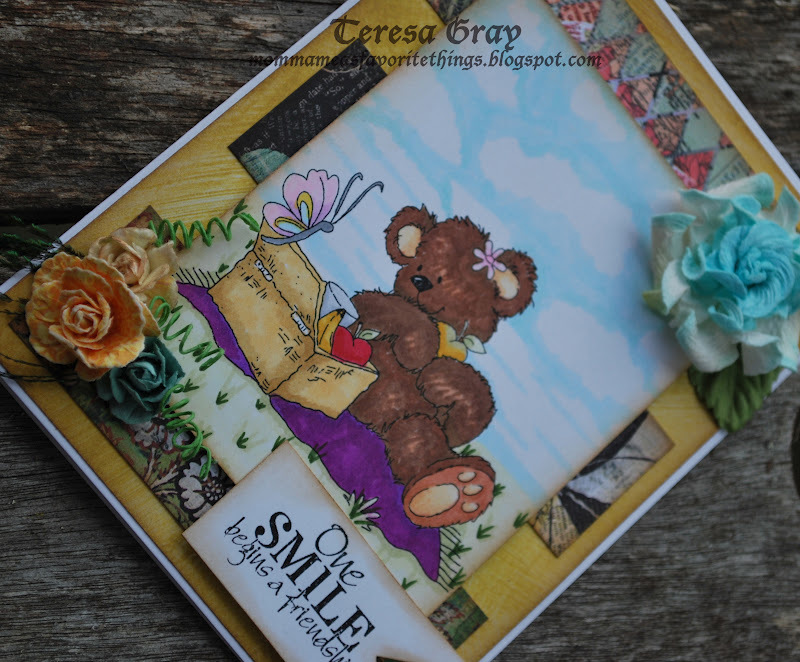 I love your image and coloring on the little bear. Great job on this one and a great design. What a precious card....it is beautiful and I absolutely LOVE the Teddy Bear!!! !